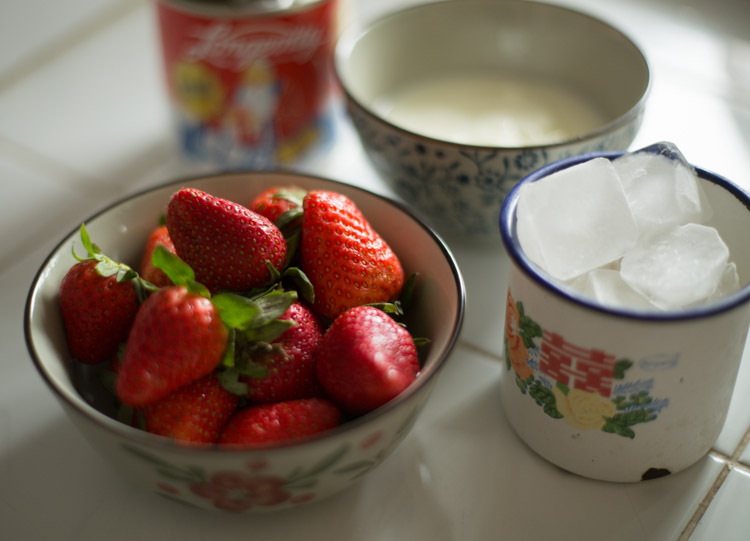 It’s strawberry season in Burma. 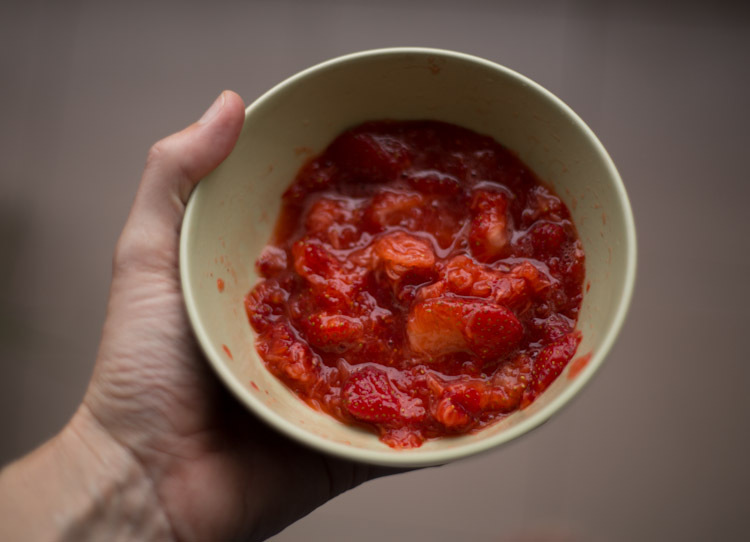 While the rest of the country bakes under the hot March sun, baskets of tiny red berries appear in market stalls across Shan State, temperate interlopers amongst the bright piles of papayas and rambutan. Introduced to the Shan Plateau in by British colonialists in the 1890s, the region’s high elevation (1500m/5000ft on average) keeps it cool enough for strawberries to thrive, particularly in the area around Pyin Oo Lwin, where horse-drawn carriages still trundle picturesquely down tree-lined avenues. I first tasted this delicious juice – a deconstructed strawberry smoothie, really – at December, a roadside strawberry farm and coffee shop just outside Pyin Oo Lwin. My motorcycle taxi driver and I headed into the strawberry fields, U Bathein hitching up his paso and me my htamein as we squatted between the rows of runners to hunt for berries. Burma’s wobbly electricity supply makes regular refrigeration a rarity outside Yangon and Mandalay. Instead, thick, clear sheets of ice are produced at local icehouses by noisy diesel compressors. 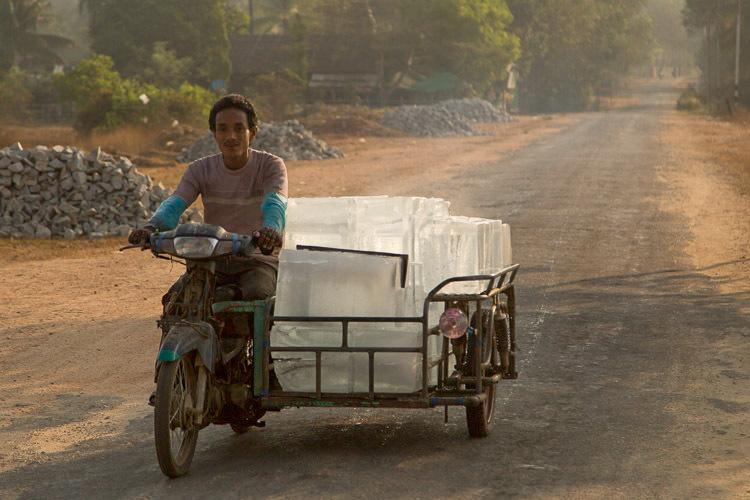 Each block is sawn into frosty chunks, packed in straw and delivered by motorcycle to cold drink shops – marked by signs for “Coffee & Cold” – the only places to buy a cooling glass of sweet strawberry juice on a 40°C day in Upper Burma. 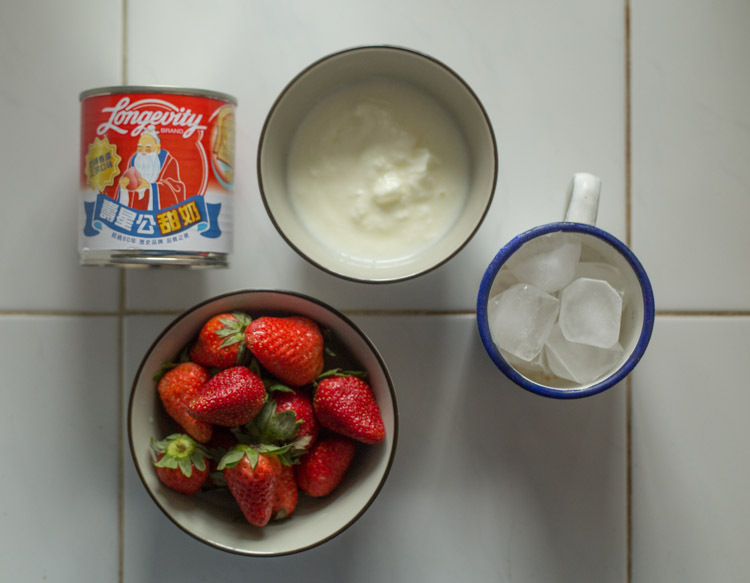 This one’s up to you really: either whizz everything together in your blender, or do it Burmese-style, by mushing the strawberries to a pulp with a fork then mixing together with the yoghurt and condensed milk before pouring over ice and serving.